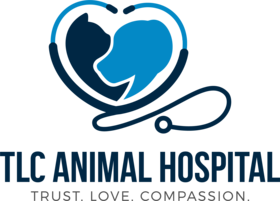 We want the El Paso community to consider TLCAnimal Hospital a go-to clinic for comprehensive veterinary medicine: whether your animal needs urgent care, routine pet exams, or other specialized services, our staff is here to provide help. Among our many techniques for healthier and happy pets includes laser therapy—a non-invasive and innovative technology used in both humans and pets. Laser therapy is a surgery-free and drug-free technique that can relieve pain, improve local blood flow, reduce inflammation, increase cellular metabolism, and trigger tissue healing. It uses non-thermal laser beams emitted from a wand-like device to stimulate beneficial biological effects within the body through a process called "photobiomodulation". In other words, the light beams (made up of photons) can affect and influence cells and tissues. We've used laser therapy on cats and dogs with great success and have seen improved pain in as little as one to two sessions, with many animals falling asleep and relaxing during treatment. How can you tell if your pet is in pain? Look for common signs: limping, difficulty moving, panting, loss of appetite, unusual aggression, lethargy, trembling, won't wag tail or purr, vocalization, and restlessness. Laser therapy is safe and has little to no risk of side effects. Your pet won't even feel the laser beam! During a session, an El Paso veterinarian and a vet tech will help your pet rest in a comfortable position. The laser therapy device will be positioned over the target treatment area for about 5 to 10 minutes. Laser pain management is truly an excellent technique that works safely with many of our other techniques. Contact the TLC Animal Hospital by calling and ask us about setting up an appointment with one of our El Paso veterinarians by calling 915-592-6200. We may be able to offer your animal laser pain management among other services and techniques.